The vision of Bedford Mining Alert is to landscape where responsible mining practices respect property owners, the environment and regional land use decision. 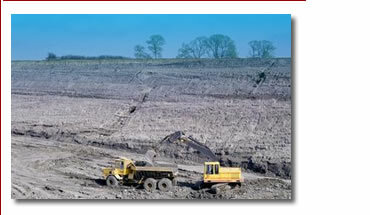 To achieve this vision, BMA has worked since 1999 to have changes made to the Mining Act and other legistlation. To learn more click 'Who We Are'. In October, 2009, The Mining Amendment Act received Royal Assent. This legislation amends the Ontario Mining Act and enables regulation that will be developed in the next few years. For information from the Ministry of Northern Development and Mine, refer to the Mining Amendment Act. To see several of BMA's submissions and presentation go to "Current News". BMA has vigorously communicated our concerns, outlined the issues and made recommendations to provincial ministries, On November 3, 2010, BMA representatives attended a workshop to build on the framework provided by current legislation around Exploration Plans & Permits and Mineral Tenure. In addition, a comprehensive BMA response to the 2010 Planning Act Provincial Policy Statement review was submitted in November 2010. For details refer to the BMA submission. In November 2012, BMA made a submission to the Ontario Ministry of Municipal Affairs and Housing (MAH). This submission was made as part of the Five Year Review of the Provincial Policy Statement. As a stakeholder in the process, BMA was informed by the MAH, together with other ministries involved in land use planning, and given the opportunity to review the Provincial Policy Statement (PPS), as required by the Planning Act. The PPS is the statement of the Province’s policies concerning land use planning and development. It provides policy direction on matters of provincial interest such as building strong communities, the wise use and management of resources, and protecting public health and safety. The Planning Act requires that decisions on land use planning matters "shall be consistent with" the PPS.